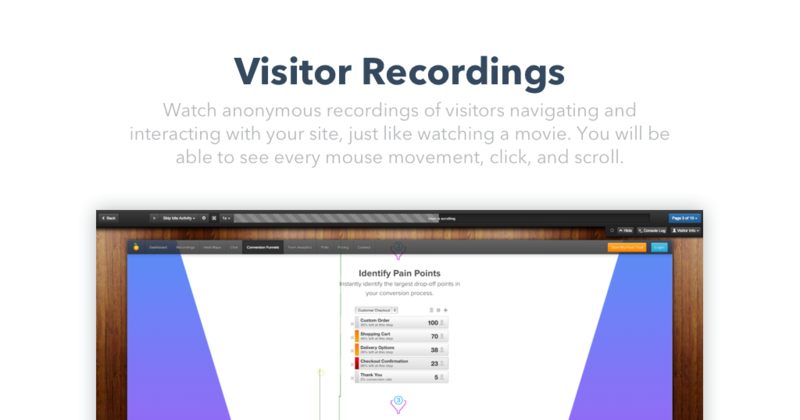 Watch anonymous recordings of visitors navigating and interacting with your site, just like watching a movie. You will be able to see every mouse movement, click, and scroll. 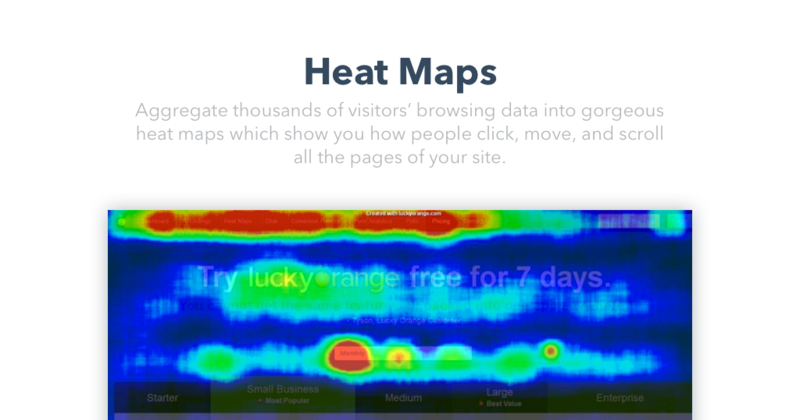 Aggregate thousands of visitors’ browsing data and website statistics into gorgeous heat maps which show you how people click, move, and scroll all the pages of your site. 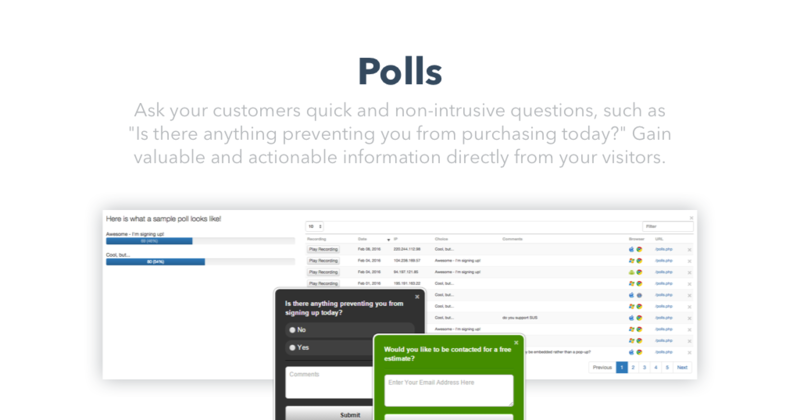 Ask your customers quick and non-intrusive questions, such as "Is there anything preventing you from purchasing today?" 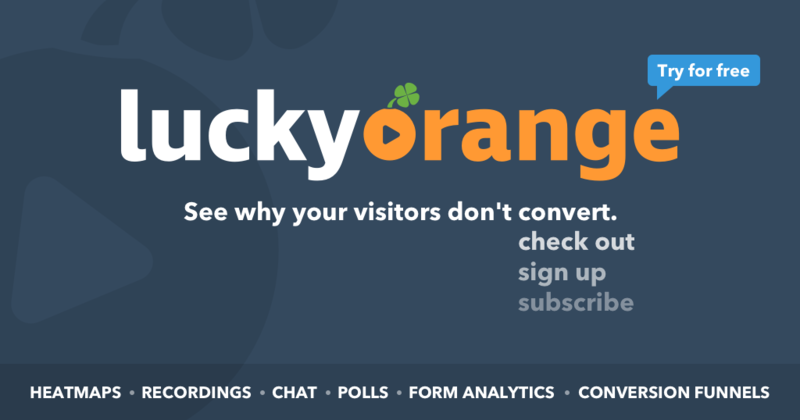 Gain valuable and actionable information directly from your visitors. 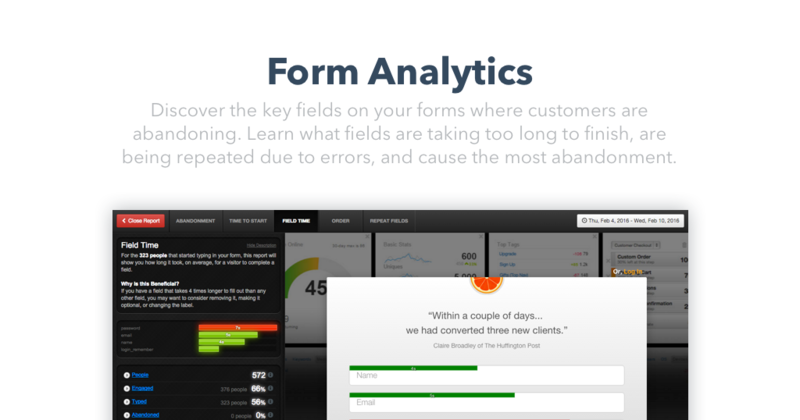 Discover the key fields on your forms where customers are abandoning. Learn what fields are taking too long to finish, are being repeated due to errors, and cause the most abandonment. 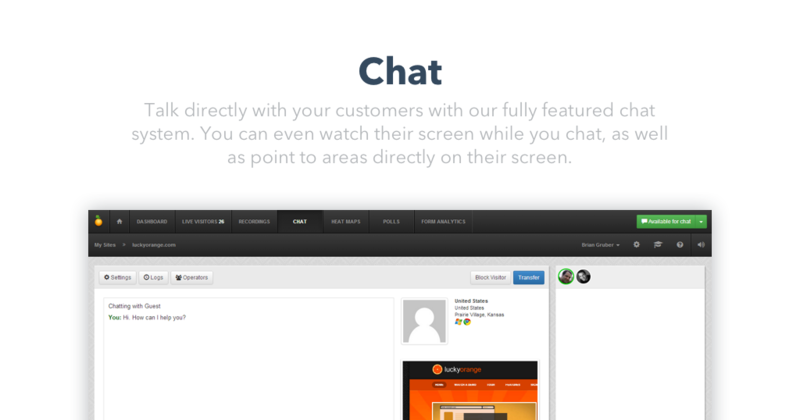 Talk directly with your customers with our fully featured chat system. You can even watch their screen while you chat, as well as point to areas directly on their screen.